William T’Vault | Historic Jacksonville, Inc. In the block next to the Interpretive Center in Jacksonville’s Pioneer Cemetery there is a marker shaped like an open book, a Victorian symbol for immortality. It reads William Green T’Vault, 1809-1869. T’Vault was a brilliant writer and journalist. He published the first newspaper in the Pacific Northwest, The Oregon Spectator¸ and the first newspaper in Southern Oregon, the Table Rock Sentinel. T’Vault was also a lawyer and a politician, at different times serving as provisional legislator, state legislator, Speaker of the House, and District Attorney. 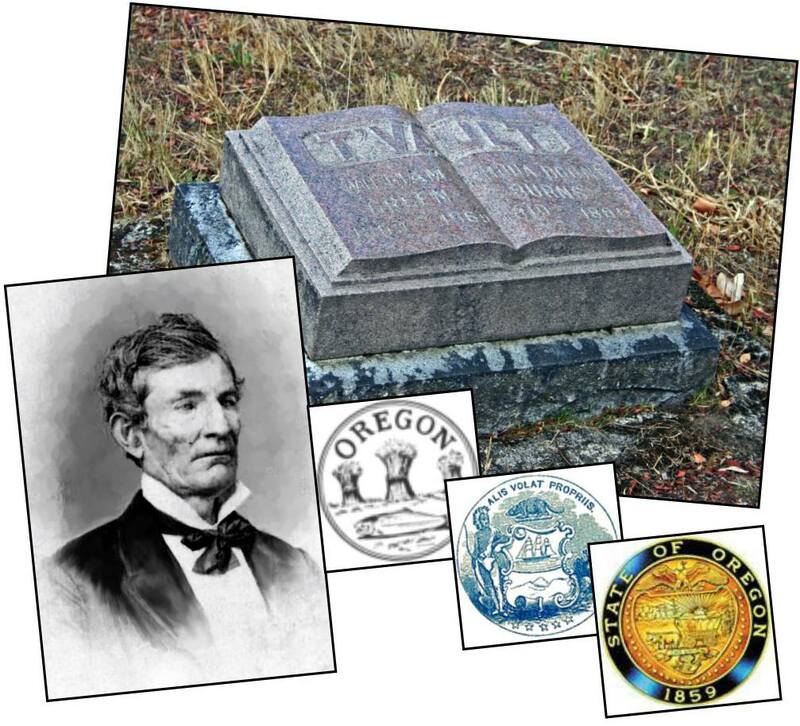 He co-authored with Joseph Lane the laws that governed the Territory until Oregon became a state in 1859. He was the last victim of the 1869 smallpox epidemic, a disease so feared that not a single mourner attended his burial.